Ancient Paths are the way of righteousness. God’s way has always been and will always be the best path that leads to life. In many ways I see our world throwing God out of the equation and taking deadly paths instead of God’s ancient paths. In my dream I was at a crossroads and I didn’t know which path to take so I asked the Lord lead me which way to go. The best way I can describe this path is that it looked old and ancient, there were bumps and holes along the way but it got easier as I walked it. I knew it is where God wanted me to be because I asked him. It was the right path and it was good. The Lord is saying stay on the true Ancient Path. It will lead to life abundant. This path at times has many potholes, pits and bumps. Some of these holes and bumps the Lord has placed there. He has allowed it because he was stretching us which strengthens us. Walking in the Ancient Path is the only way to grow. At times we live in such a fast pace life. We are speedy and take short cuts. The Holy Spirit is calling you back to walk on the Ancient Paths! He is calling us deeper into more meaningful and fruitful lives. Many people haven’t wanted to walk on this Ancient Path because they think it looks too uncomfortable. These crowded stressful lives I see have very little rest or peace in them. It’s a constant struggle and torment. God never intended for us to live this way. We are at a crossroads. We need to ASK first Jeremiah 33:3 and then take the Ancient Path he tells us to. Once we start walking the Ancient Path we need to be gentle and take our time. He doesn’t want you to rush the walk, because you will miss what he is showing you. Take your time and enjoy the scenery. He will repair and restore you. We must take time out of our crowded busy lives and we need to ASK God what these paths look like. If we STAND and ASK for the Ancient Paths we will find rest and true peace. We are all surrounded by piles of STRESS (work, health, finances, relationships). When our souls finally find rest and true peace we can HEAR God more clearly. This year the Lord is wanting us to ASK again for him to show us the Ancient Path we should take. He wants us to really HEAR him again. The Ancient Path that many are saying NO to because it looks uncomfortable and difficult, the Lord is saying take it because it leads to the NEW that God has for you. This Ancient Path first started off with potholes and bumps but as you walked it, it got much easier. The Lord showed me that the people who don’t take the path he is showing them they are going to miss the NEW that he has for them. Watch for God to open your Ancient Path and be willing and ready to take it! In my dream I saw people walking in shallow water. The water was comfortable for them. Then I saw the chaos in their lives and I saw them drowning in this shallow water. I see people DROWNING spiritually, DROWNING emotionally, DROWNING financially, DROWNING mentally and DROWNING physically. Sometimes being in shallow water means you have a shallow relationship with God. When you have a shallow relationship with God you actually end up DROWNING in shallow water. The shallow water is comfortable. God is calling you to the DEEP water. You were made for the DEEP! He wants us to go DEEP because he wants to share that secret place with us. It’s the place that’s DEEP in his heart where the fruit of his Spirit comes forth. God is calling us into DEEP water experiences. Which means we need to get out of our comfort zone. We need to try to do things differently than we have in the past. The DEEPER the water the DEEPER the intimacy with the Lord. The DEEP is uncomfortable. Did you know that there are many areas of the ocean that are unexplored? If we were to go way down DEEP there are things that we haven’t even seen yet because it’s too DEEP. It’s the same with God there are many areas of him that are unexplored by people because its too DEEP. It’s Time to leave the comfortable behind you and swim out DEEPER. If you don’t you will end up DROWNING in brokenness in shallow water. In my dream as people decided to swim out DEEPER they were able to breath under water. The water is a symbol of regeneration and renewal. It represents the Holy Spirit. Going DEEPER shows that you are maturing and taking risks. God is showing us how to breath under water and there we discover his LOVE in a whole New Way! Going DEEP you will REAP and receive a reward and blessings! Call upon his name and he will guide you in the DEEP. In my dream people were getting ready to take a test. Some people were not prepared, some were late and some were cheating. I saw distractions in the room while the TEST was being given and the lights kept turning off and it was complete darkness. I then saw a SCHOOL OF FISH swimming together. They were on a QUEST to find the true meaning of the TEST and they found it! It was a TEST FEST that everyone will enjoy! I know what your thinking weird dream but God speaks to me in creative unique ways. It is TEST TIME and the Lord wants to prepare you for it. He doesn’t want you to be late he wants you to be ON TIME! That’s a warning to not miss what is coming. No cheating allowed! The enemy is also TESTING YOU. We don’t want to take his TEST. The enemy is working hard to ensure your FAILURE. Don’t get distracted or discouraged when he tries to turn the lights off. What is a SCHOOL OF FISH? It’s when groups of FISH swim together in the same direction. They are schooling. Most FISH swim in groups to protect themselves from predators. The Lord says its TIME FOR SCHOOL. FISH are symbolic of people and God’s TEST will provide an opportunity for promotion. It’s a time for learning and he wants to teach us as we go DEEPER in water with him. Its a training period and he will give us the knowledge. We need to stick together as a SCHOOL OF FISH and protect each other from the predator. Don’t be nervous in the time of TESTING. You look for God’s TESTING not the enemies TESTING. He will prepare you and he will give you the knowledge to better yourself so don’t be late. He has made you stronger to take the TEST as you swam out DEEPER in the water. You are ready and you will PASS THE TEST!! GO THE DEEP!! This song is Oceans(Where Feet May Fail) by Hillsong United it is a great song listen to it! 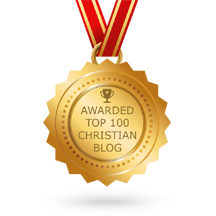 I also wanted to say in my last post I stated that my blog made the top 100 list for best Christian Blogs the correct URL is https://blog.feedspot.com/christian-blogs/ you should check it out.